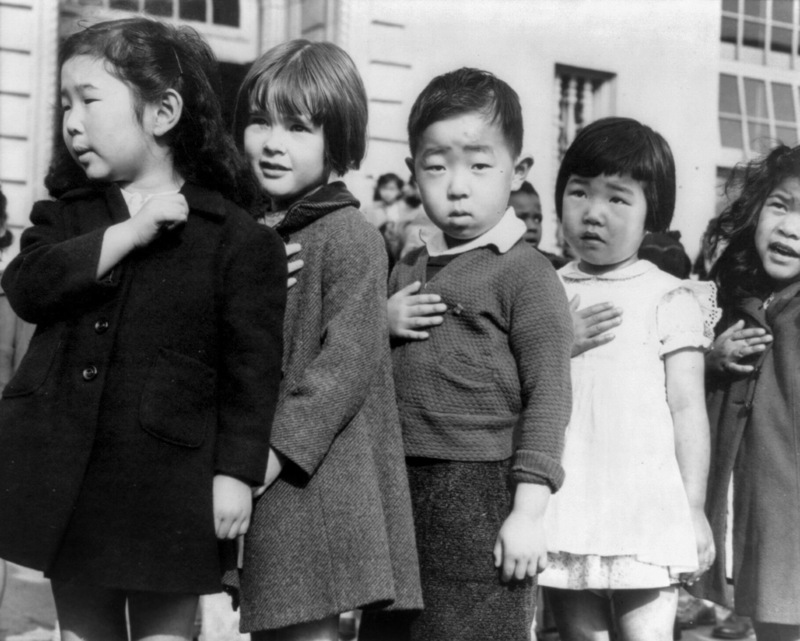 First-graders, some of Japanese ancestry, at the Weill public school, San Francisco, Calif., pledging allegiance to the United States flag. The evacuees of Japanese ancestry will be housed in War relocation authority centers for the duration of the war This image is a work of an employee of the United States Farm Security Administration or Office of War Information domestic photographic units, taken as part of that person’s official duties. As a work of the U.S. federal government, the image is in the public domain in the United States.